👤 This documentation is intended for SQL Users. 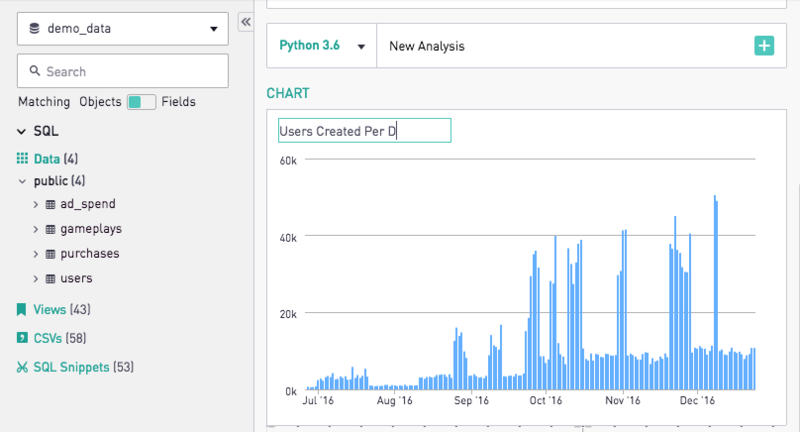 Discovery Users looking for steps on how to create a chart without SQL can refer to the Data Discovery documentation page. 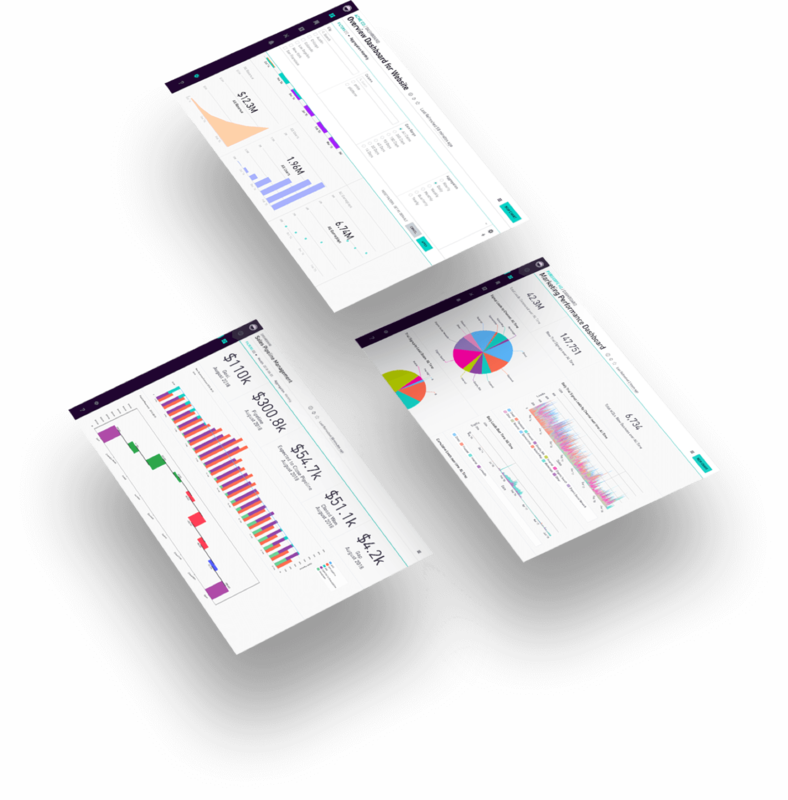 Charts are the individual objects on dashboards and are often a type of diagram or graph. They are used to create visualizations based on queries resulting in a set of numerical or qualitative data. 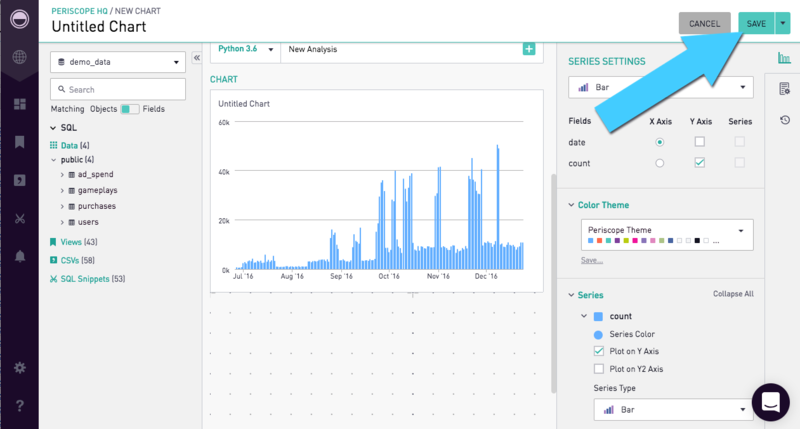 To get started with making charts, click the "New Chart" button in the upper right of the dashboard. This will open the Chart Editor for a new, untitled chart. 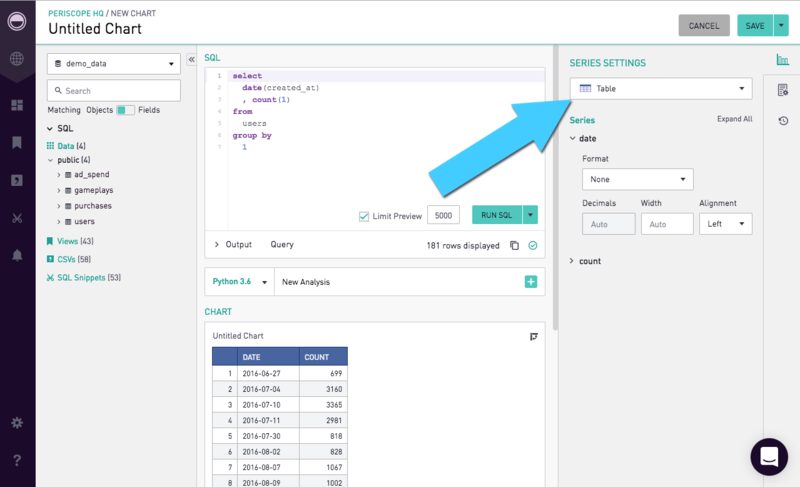 To explore options for what data to analyze, the Schema layout on the left provides a list of the available tables and columns to query from. 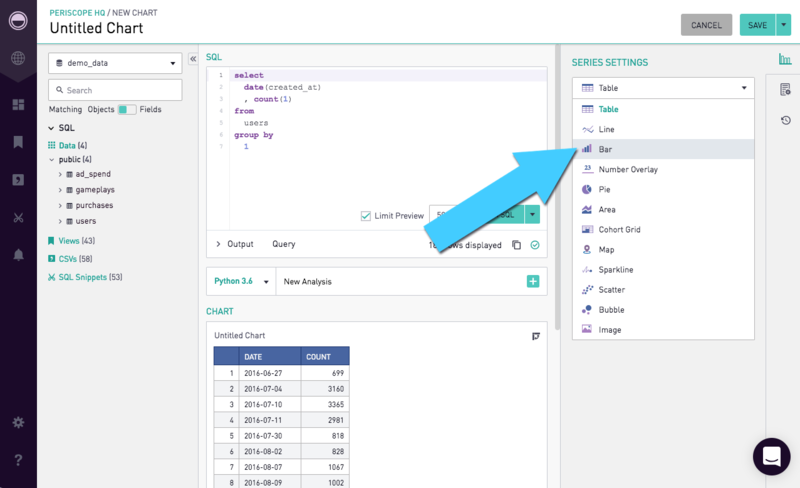 The dropdown menu at the top of the schema viewer can be used to set the chart to run against a different database and show the tables and columns for that database. More information on the schema viewer and how to navigate it can be found here. Type the query into the box and click "Run SQL". The results come back from the database in the form of a table. 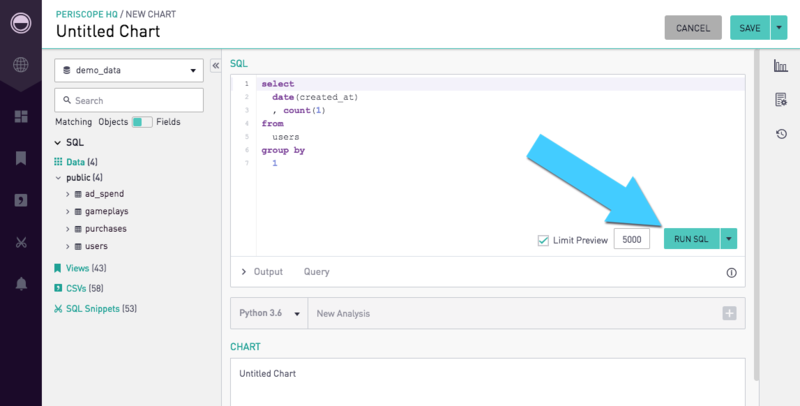 To create a visualization and change the chart type, click the chart type dropdown to the right of the SQL area. The options available in the series settings tab and chart format tab contain chart type specific settings. For more information, please see the documentation for that specific chart type, linked above. 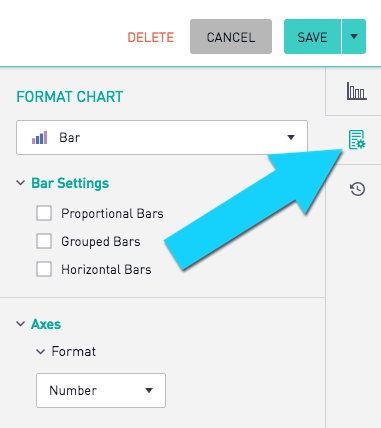 After choosing a chart type and various settings, click "Save" to place the chart on the dashboard. SQL Users can copy the underlying dataset by clicking on the "Copy to Clipboard" icon beneath "Run SQL". The data can then be easily pasted in a CSV format. After confirming, this chart will be permanently deleted from the dashboard. 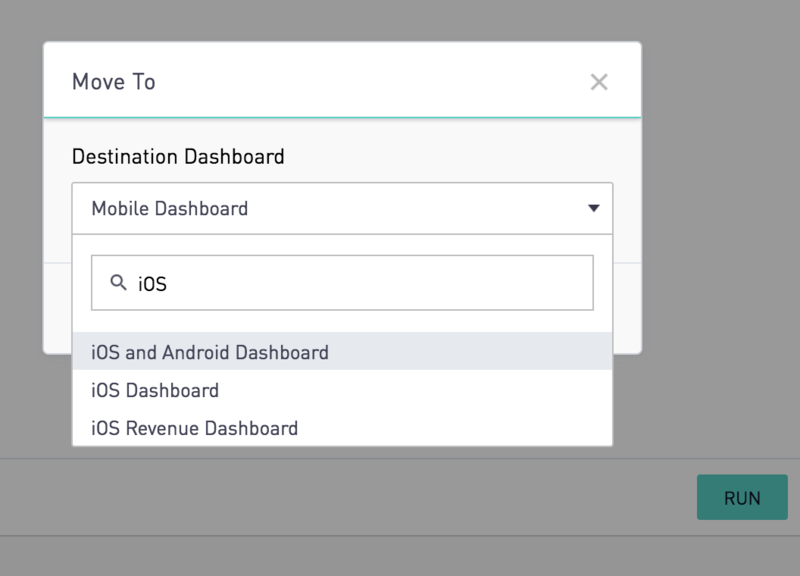 In the pop up, a new name for the chart copy can be specified, as well as the dashboard it will be copied to. 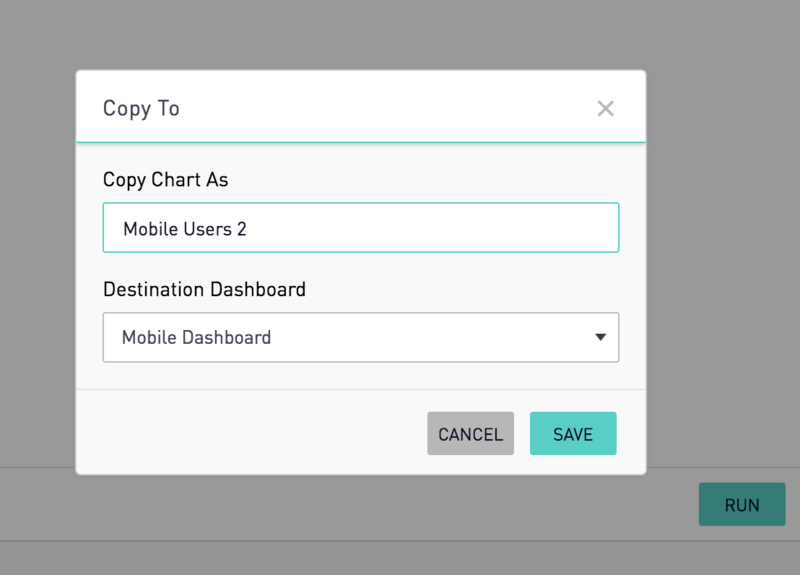 The "Save" button will save and navigate to the copied version of the chart. Any changes made to the chart will be preserved in the copy of the chart, but will not affect the original chart where the changes were made. In the pop up, the new dashboard can be specifed. After saving, the chart will be moved to the newly selected dashboard. 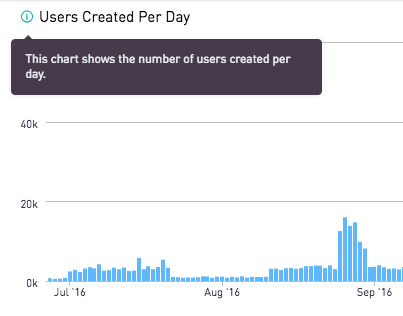 The number of rows returned by a chart's query is limited to 5000 by default. This can be adjusted by either entering a new number into the Limit Rows text box, or by writing a LIMIT or TOP clause into a query. 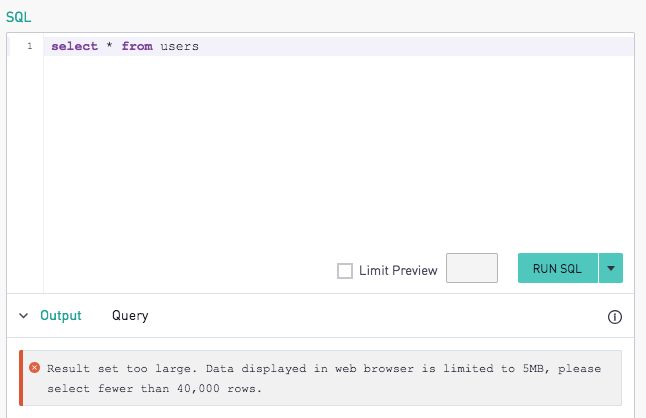 If a LIMIT or TOP clause is defined in the query, the row limit defined in the UI will not be applied to the query. 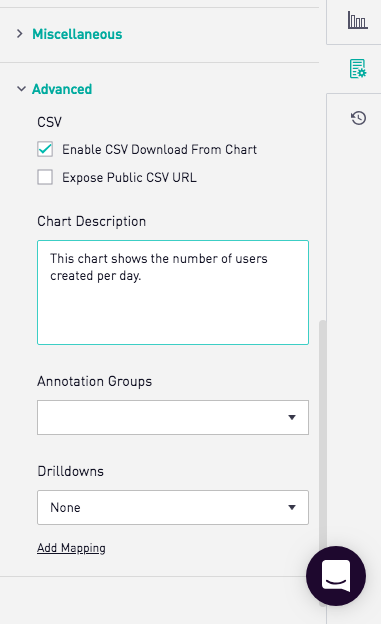 Limits that are defined in the query will apply to the CSV downloads of a chart, whereas a row limit defined in the UI only applies to the visualization of the query. After the limit has been updated, the query will need to be re-run for the change to affect the results. If Limit Rows is unchecked, and there is no LIMIT or TOP specified in the query, the query will run without a limitation applied to the query. Note: Most browsers can only handle visualizations with up to about 4.7MB of data. If more than this amount of data is selected, the above error will show. Simply adjust the Limit Rows amount to a lower number. 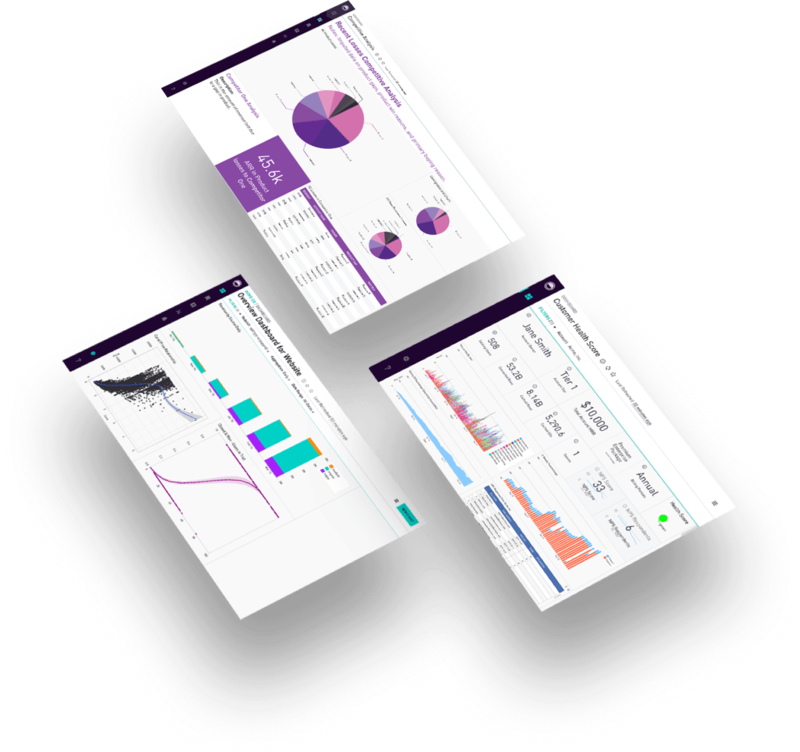 For more information on how the Limit Rows box works and how it functions in tandem with CSV Downloads from the chart, please see our documentation on CSV Downloads.